We supply lifts for the detached homes construction industry, installed ready for use. 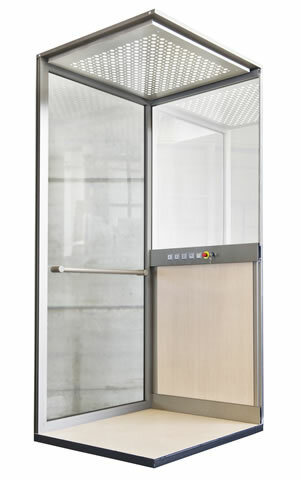 The lifts we supply are regular lifts that have incorporated extra safety features that make them suitable for home use, compared to a regular commercial lift. 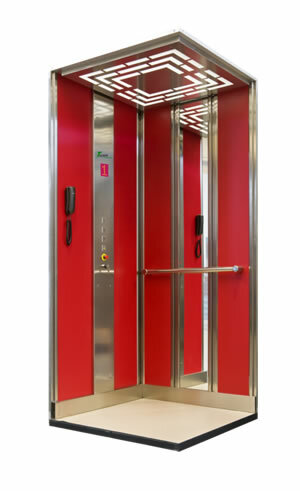 No compromise has been made in the quality, strength or reliability of the lifts; they are robust and have been built for a long life and reliable service. Automatic stainless steel doors, side opening, 700mm wide. Car size of 1030×1030 mm. 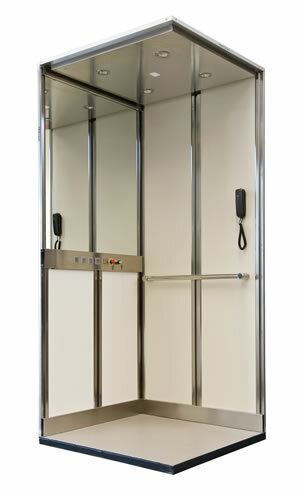 Lifts of non standard sizes or lifts with through doors are available at extra cost. 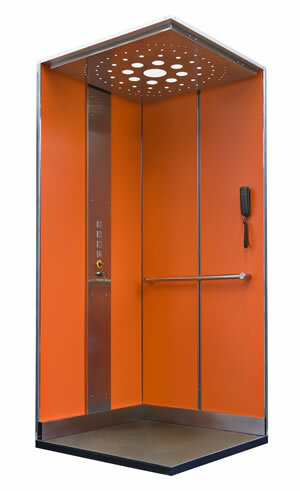 The lifts are installed by us and we take care of the whole process from A to Z. The home builder gets the lift ready for use. Electricity, single phase 240VAC, 16A, MCB protected, dedicated only for the lift and two subsequent MCB’s one for lift lighting and the other for lift machinery. 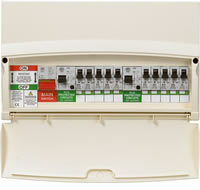 All three MCB’s are installed within the distribution board of the house. Normally the time required to install the lift and set it operational is 5 working days. A one year warranty on the lift and the installation work is provided by us in accordance with the contract. First year maintenance is provided by us at a cost in accordance to the contract. 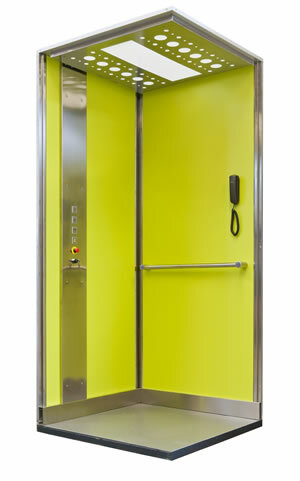 After one year the user can choose any lift company to provide maintenance services for the lift. Carrying load: 400 Kg max. This causes the lift to consume only 12 Watt of electricity. At current electricity rates of £0.20 per KWh this will result in £1.72 per month. During run in the up direction the lift consumes electric power which is proportional to the load in the lift and height travelled. At the current rate of £0.20 per KWh a fully loaded car (400Kg) running upwards will consume £0.009 (0.9p) for each floor it passes. During run in the down direction the lift consumes no electric power (actually the idle power). It can therefore be seen that the total electric power consumption is negligible. Safety edges or in their full name: “Optical multi-beam full height safety edges” is an electro optical detector device that can detect objects in the doorway of the car. The device prevents the car door from starting to close if there is any obstacle detected in the door way (for example somebody is standing in the doorway). If the car door has already started to close and an object enters the doorway (for example somebody is trying to enter the car) the safety edges will reverse the car door and keep it open as long as the object is in the doorway. 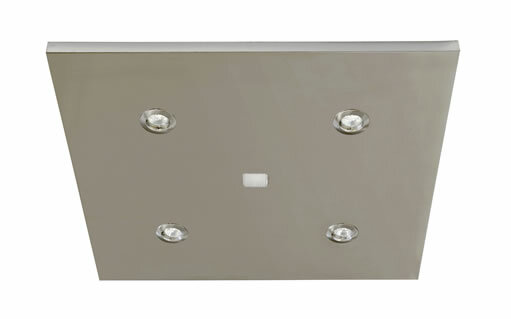 The safety edges consists of two edges and it works by sending many infrared light beams (invisible light) from one side of the doorway to the other side of the doorway, thus covering the full (1.8m only) clear opening of the car doorway. The safety edges have a minimum size of objects they are able to detect and the lift user has to be aware of this limitation; however objects like an adult arm, dogs, cats, and similar size objects are detected easily. Please ask us about the safety edges detection limitations.